Twitter, a microblogging social networking site, is undoubtedly making people fascinate about it. Twitter, for its populous 316 million active monthly users has emerged as a central medium to reveal their life stories in real time. Its engaging #hashtag trends have become a popular way to keep users connected to it. No wonder there are 500 million tweets sent per day which include hashtags. Interestingly, your tweet never goes unnoticed. Tweets of users to company or users to celebrity, users to users, company to company or even one celebrity to another, anyone who has subscribed to the user’s tweet notifications can see the tweets easily. This only adds to the cult of Twitter. Your tweets can become popular if Twitter tools are put into use in the right manner. Twitter tools are being used for more engagement, enhanced productivity, in-depth research etc. Such tools not only help your tweets stand out from the clutter, but also enhance your online presence and productivity on Twitter. At Blogging Hammer, I have managed to come across a wide range of prominent social media tools, out of which I have made a list of the best ones. Use keywords to find the best performing content on web regarding any topic by sorting with different relevancy options. Ninja Outreach is a blogger outreach software CRM software apt for influencer marketing. Empower your PR team to find and reach out to bloggers. 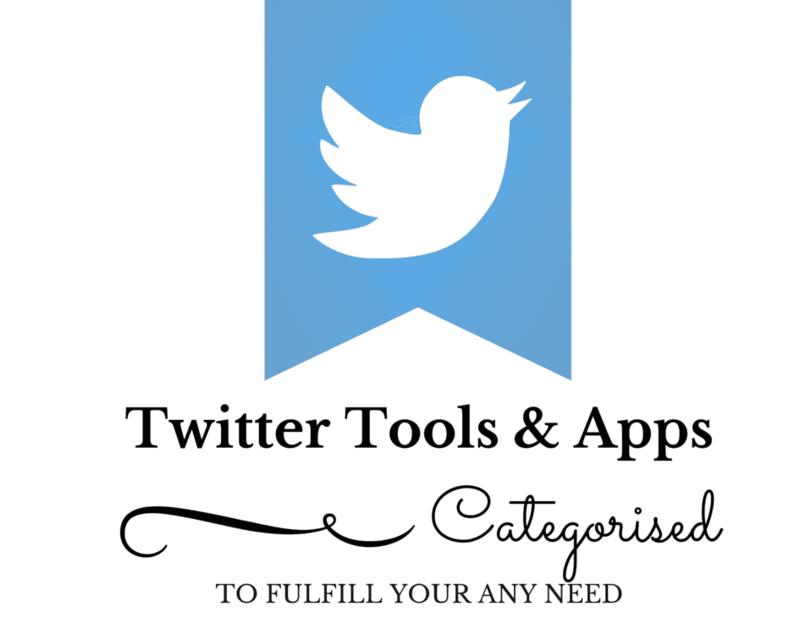 It’s a great tool which I personally recommend for Twitter users. It has some exciting features like you can unfollow your followers having a fake profile, no profile picture, inactive handles, or non-English profile. There is an extension for Tweepi bulk follow and unfollow which makes Tweepi very efficient in its follow/ unfollow operations. This is way better than logging in, waiting for the followers/ unfollowers list to load and delete every defaulter one by one. It comes in the form of a plugin, wherein whenever you write a tweet, you’ll get options for relevant hashtags, hashtags’ reach and popularity, suggestions of pictures, GIFs and influencers over words. It helps you to find the best Twitter Hashtag for a better audience outreach and related influencers. BUFFER is a Social Media Management tool in which you can schedule your tweets and analyze its performance. HOOTSUIT gives a free account option and an Easy – To – Use Dashboard for scheduling tweets.But for analyzing your tweet performance, you need to have a Pro Account. Using this exceptional tool, you can start your own coverage of live news, sports, and events using hashtags on Twitter, with your team. Login to TweetChat and choose your hashtag. Start chatting and replying to tweets on your hashtag. Too many tools spoil the tweet! Choose a selected few which will ultimately enhance your tweet productivity. If I missed any good free Twitter tools, which you think should be in the list, please let me know in the comment!